The Holiday season is a time for family and friends to join us for the special get-together in which food and fun go hand in hand. With that comes cooking those wonderful meals everyone can enjoy. Dishwashers are used much more this time of year and to get the full cleaning power its always best to make sure your dishwasher is in prime working order. We recommend using a dishwasher cleaner to reduce mineral deposits that can build up over time. 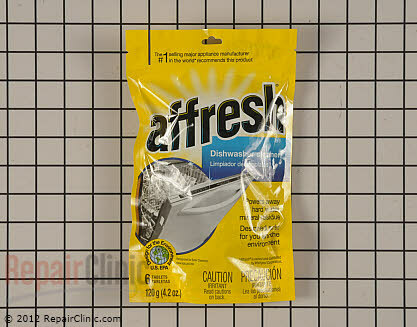 Affresh dishwasher cleaner keeps your dishwasher fresh by penetrating, dissolving and removing mineral deposits and odor.